There is a great satisfaction for Selfie lovers when their smartphones have a high resolution front camera. Xperia C3 comes to everyone’s pleasure with its camera technology specially designed for taking self photographs. It recently launched a video in YouTube where it depicted its brilliant features in details. The exquisite selfies are guaranteed by its Pro selfie 5 MP wide angle front camera with soft LED Flash. The smartphone will have a 5.5 inch high definition IPS screen sporting Snapdragon quad core processor with processor speed 1.2 GHz. The most fascinating feature of the phone will be its slim and light body which is ideal for a phone that claims to be the world’s best selfie phone. Heavy phones are difficult to hold consistently while taking images. So this is driving away that difficulty. Xperia C3 is compatible with SBH20 Bluetooth headset and Ultra fast LTE. Plenty of sophisticated features will be incorporated in the phone. The Superior Auto feature helps to take photos with automatically optimized settings. AR effect can be used to put virtual images and characters in your photos. The camera settings can be edited manually and the images can be redefined with various effects by Picture effect option. Another amazing feature is the Timeshift Burst which facilitates shifting the time back and forth to catch the best moment. Log your special moments with SmartBand and Lifelog. Vine is a new way to create six seconds videos to share over social networks. Besides all these exciting features you can apply realistic effects like make up, smile shutter and face correction effects by Portrait retouch. Other features include 1280×720 resolution, 8MP rear-facing camera, and a 2500-mAh battery. The phone is equipped with dual SIM facility abd will first arrive in China. 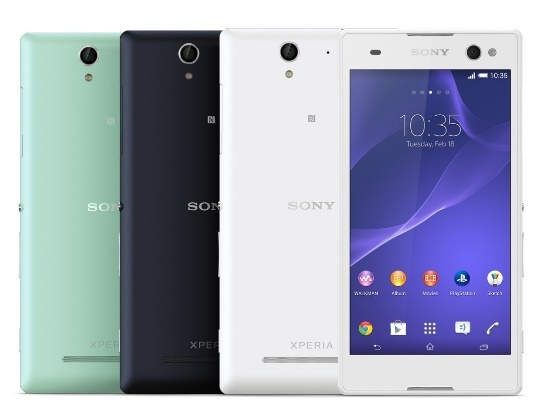 Xperia C3 will be available in black, white, and mint green and is expected to arrive in market by August. Later on it will be available in other parts of the globe. How to Be Smarter Than Your Smartphone? How Can Outsourcing CAD Services prove to be Beneficial to Businesses?